Alcatraz prison in San Francisco was utilized for 29 years as a prison fortress designed to keep its inmates inside. Opening in 1934 and ending its service in 1983, the prison was said to be impenetrable. Though many inmates attempted to leave the island prison, none had succeeded, all either caught or shot dead by guards or killed in the act of attempting to swim the icy waters to escape. 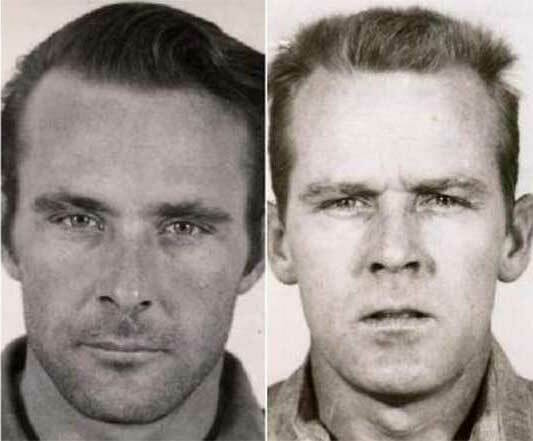 That was until June 11th, 1962 when three prisoners did the seemingly impossible and escaped unseen into the night. Alfred and John Anglin were brothers and grew up in Donalson, Georgia alongside their eleven siblings. Their parents worked seasonally on farms, so the family traveled around a lot to provide income. As children, the brothers would amaze friends by being able to swim in freezing Lake Michigan when the family ventured north. The siblings began lives of crime in 1953, robbing banks without the use of a weapon. 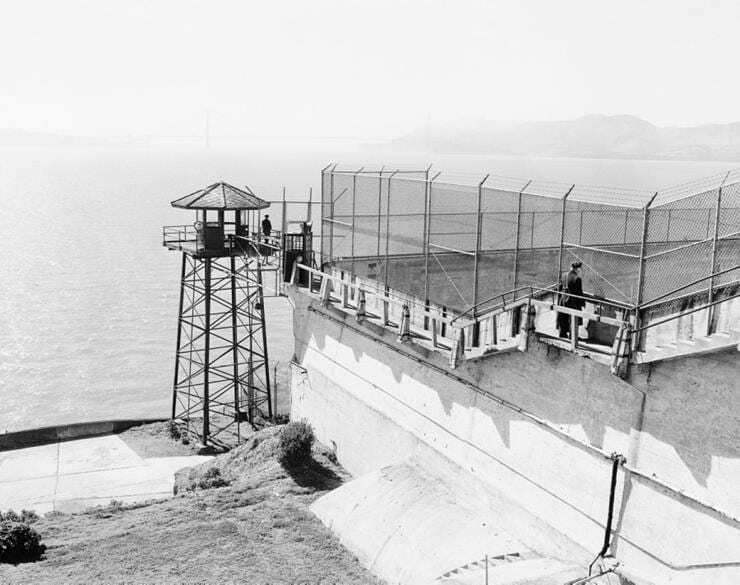 They were detained and imprisoned in Georgia, and after trying to escape many times were relocated to Alcatraz in 1960. Washington-born Morris was the cellmate of the Anglin brothers. He was a highly intelligent person and was noted in the top 2% of people in the US on the IQ test. He began his criminal career aged just 13. He quickly graduated to narcotics possession and armed robbery and was arrested for these crimes in his late teens. 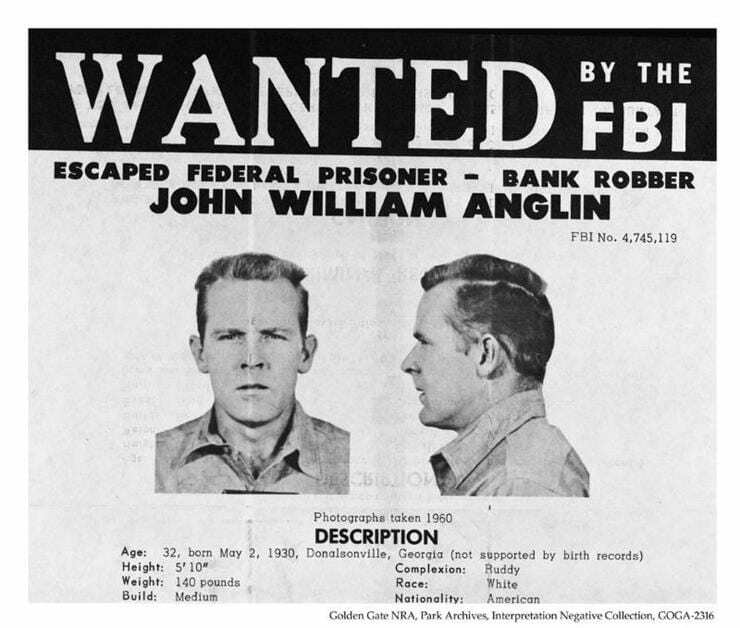 He ended up serving time in Georgia and Florida, and escaped from Louisiana State while being incarcerated for robbing a bank. 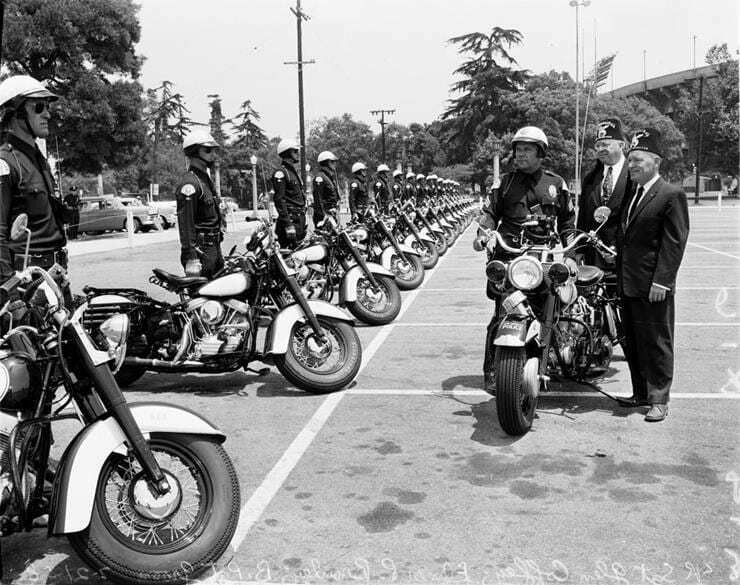 Later, he was caught committing armed robbery and transferred to the fortress in 1960. West was the fourth member of the group to try to escape. 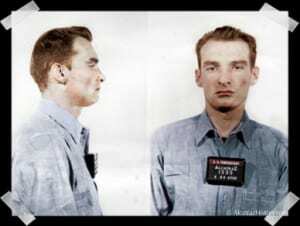 He was moved to Alcatraz prison in 1957 after failing to escape from a Florida prison. He didn’t manage to escape from Alcatraz either. Despite his best plans, he couldn’t remove the ventilation grill in time to meet up with the others for escape. Afterward, he helped with the investigation into the escape. 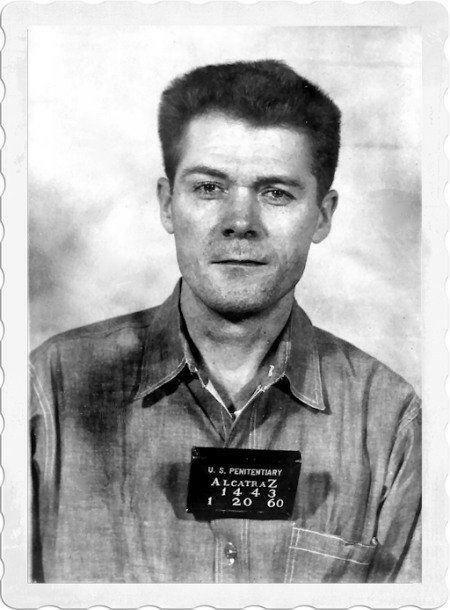 After Alcatraz had been closed, he was sent to Atlanta and then later Florida and Georgia. Later, he died of peritonitis in the Florida prison in 1978, aged 49. The men were given nearby cells in Alcatraz and formed a friendship. 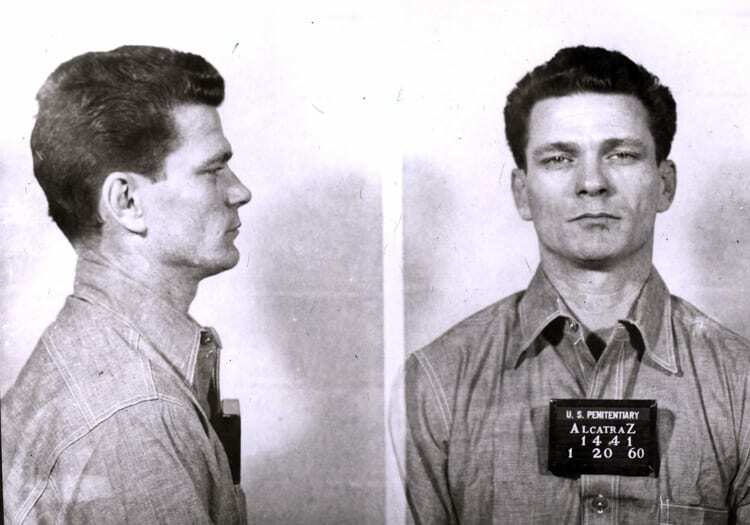 Frank Morris was the man who came up with the plan for the group’s escape, and between them, many discussions took place to finalize the details. 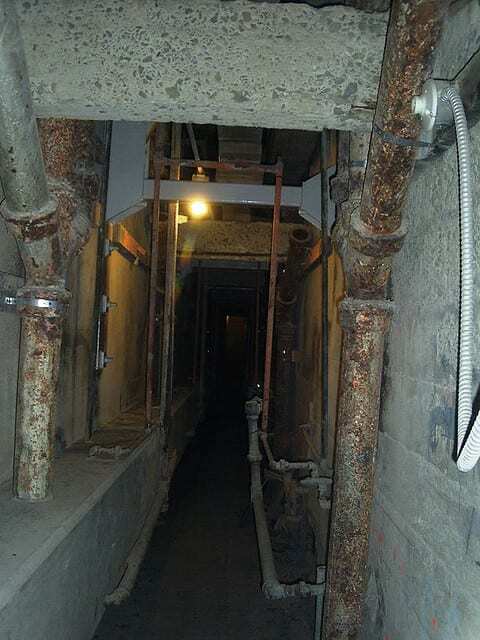 The group would remove the vent covers positioned under their sinks in their cells and dig through the space behind them. They would place decoys in their bed and then sneak out onto the bay to sail away using their own boat without anyone noticing. Their plan seemed perfect, but something was to go wrong. 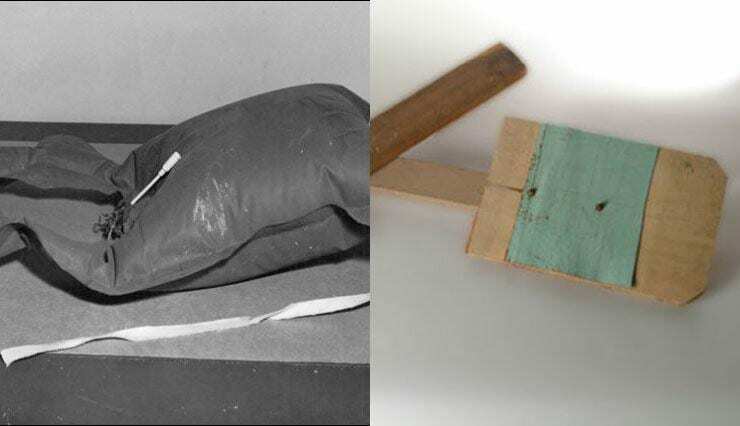 The group needed to disguise their escape from the guards who did nightly checks of the cell blocks, so decided to create decoys to look like they’re were sleeping soundly in bed. 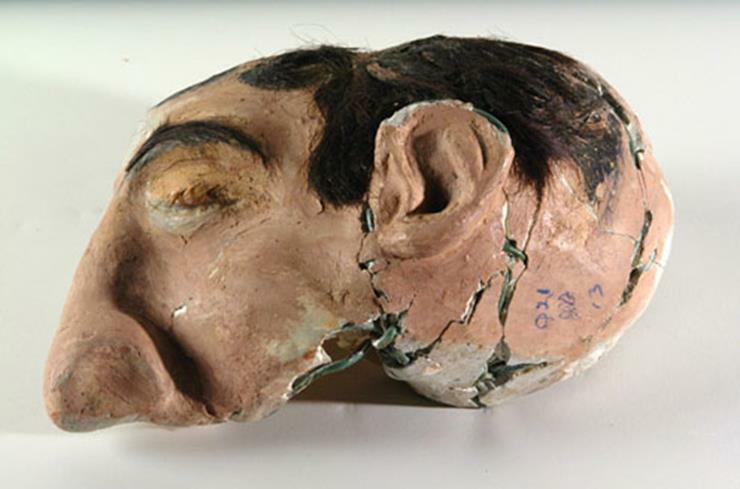 The made human heads out of a papier maché mixture made of toilet paper and soap, painting them with discarded craft paint and giving them convincing heads of hair by picking up leftovers from the barber shop floor. The heads were positioned on their pillow with blankets and stuffed clothes underneath to make it look like they were in bed. The convicts utilized the time during ‘music hour’ to dig out the ventilation ducts in the months leading to their escape. They did this by using spoons stolen from the commissary, discarded saw blades, and even a makeshift drill which they had powered using an old vacuum cleaner motor. After six month’s hard work, the holes underneath their cell sinks were finally big enough for them to escape through. They hid their work by covering up the hole with cardboard and other items. As the group finally made their escape on June 11th, 1962, West couldn’t fit through the hole in his cell. He had opted to use cement to tidy up the crumbling concrete, and it toughened, preserving the grill’s grip and narrowing the space, so he got left behind. When interrogated he came clean to the authorities about the plan to escape, on the insistence that he didn’t receive any punishment for telling them the details. While he told the authorities about the escape, he didn’t reveal what would happen when the group arrived on land. After making their way through the vents, the men would have climbed up to an unmanned utility corridor which ran behind the cell block. The trio then climbed to the prison’s roof, carrying the items they would have needed to escape. They then dropped 50 feet by shimmying the length of a kitchen ventilation pipe, landing on the floor below. 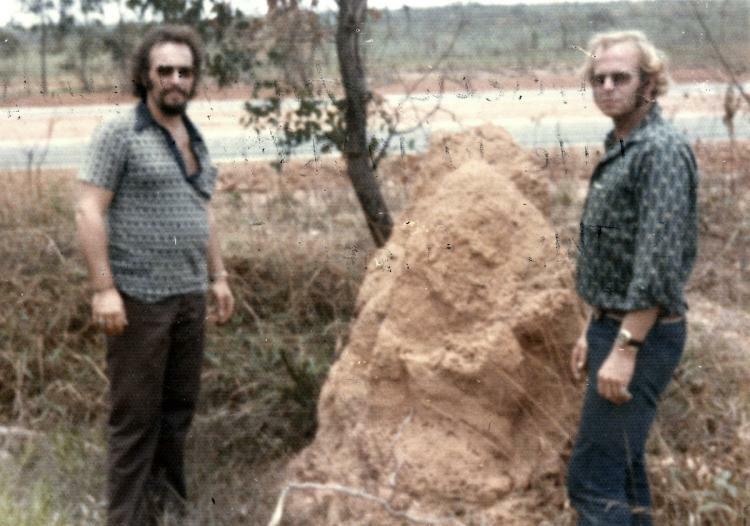 The only thing standing between them and their freedom was a pair of 12-foot barbed-wire fences surrounding the prison. Once scaled, they arrived at the shoreline, ready for their next challenge. The group had prepared the next phase of their escape carefully. During their time in prison, they collected raincoats and other similar materials, which were used as life preservers and a 6-foot raft which they steamed together using steam pipes, then stitched the edges shut to make them airtight. They even scavenged wood to build makeshift paddles. Using an accordion concertina as makeshift bellows, the group inflated the raft in a searchlight blind spot and made their exit from the island sometime after 10 pm. When the guards discovered the inmates missing the next morning, an intense search was conducted, escalating into one of the largest manhunts in American history. 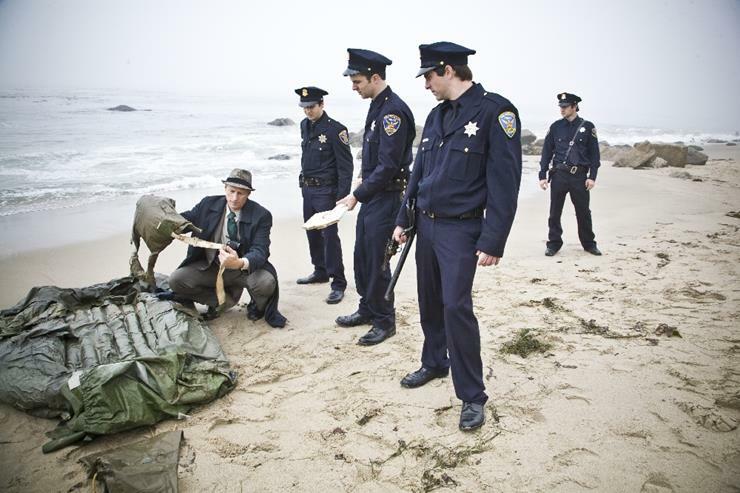 Guards searched Alcatraz Island and the Bay but found nothing. The search extended to nearby Angel Island, looking for any items that may have washed up on the shore there. They were unable to find the Anglin brothers or Morris. Word began to get around that the three men had managed to escape. The next 24 hours revealed no evidence to show what had become of the three escapees. There were no bodies or boats. The guards were adamant that the three inmates would have been dragged out to the Pacific Ocean because the tide came in half an hour after it was believed the prisoners set sail. But the Anglin brothers were excellent swimmers. After all, not many men would have been able to swim in Lake Michigan and Wisconsin lakes as children. It seemed the convict’s plan had gone well, as there were no traces of them or their boat. Law enforcement agencies and the military conducted a 10-day air, sea, and land search and came up with nothing. That was until a Coast Guard found an oar floating around 200 yards, south from Angel Island. Boat workers found a battered wallet, preserved with plastic, near the island with photos, names and addresses of the Anglin brothers’ friends and family on the outside. 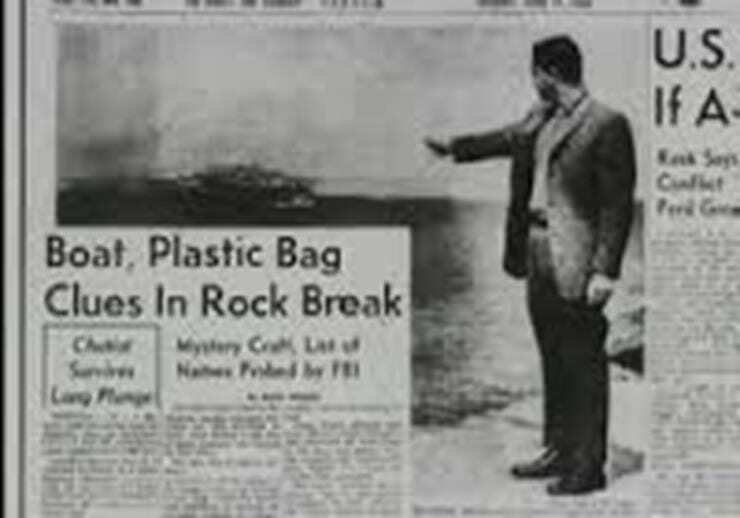 June 21st saw a coast guard finding shreds of fabric on Angel Island beach thought to be a raincoat material used to make the raft. The federal marshals became concerned and decided to increase the manpower on the investigation. The next day, a boat sent from the prison found a life jacket of a similar fabric. It was deflated and found just 50 yards from Alcatraz. No bodies or physical evidence has been found. However, a few months afterward, some new information came forward that reinvigorated the investigation. 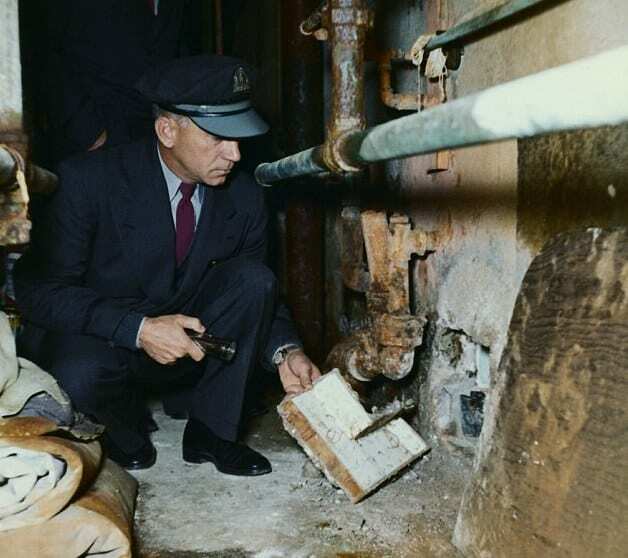 A few months after the men’s escape, a Norwegian ship sailing through Alcatraz Bay spotted a human body. It was floating just 20 miles from the Golden Gate bridge, but those on board were unable to retrieve it. After hearing of the escape from local fisherman, those on board reported the body, fearing it was one of the escapees. When questioned, the appearance of the body resembled Frank Morris. They described the body as wearing a navy pea coat that prisoners wore. Could it be possible that all three convicts faced the same watery end? After the escape, the law firm that represented the Anglin brothers received a phone call from someone who said they were John Anglin. He asked Eugenia MacGowan who worked for the firm to contact the Marshall’s office. When asked why he became angry asking ‘Do you know who I am?’ He hung up when she said no, telling her to read the papers. Inmate Clarence Carnes received a cryptic postcard with the code words ‘Gone Fishing’ a few weeks after the escape, confirming in his mind that the escape was a success. 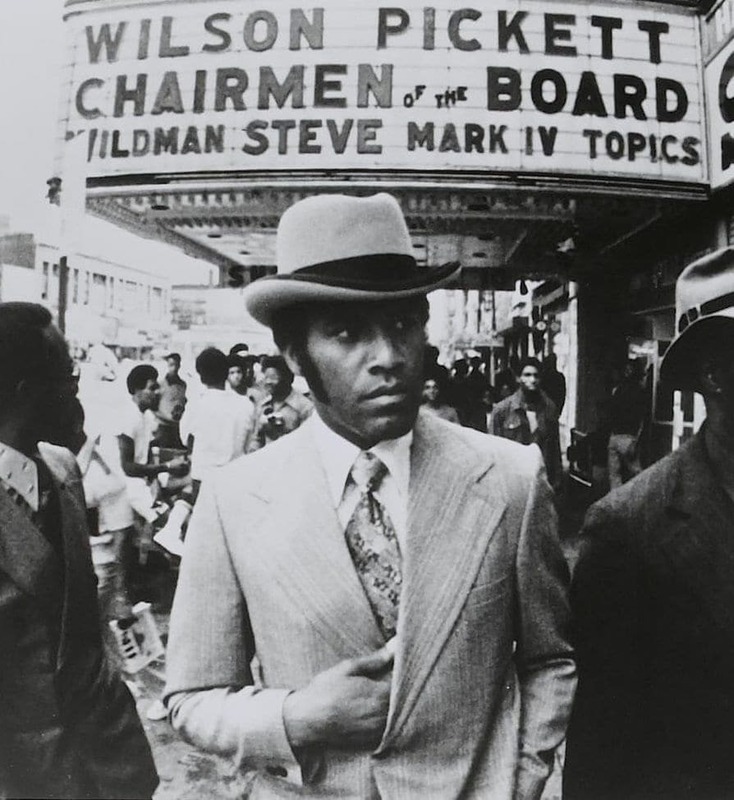 Some believe that Morris and the Anglin brothers had help from the underworld kingpin of Harlem Ellsworth ‘Bumpy’ Johnson. The theory goes that he arranged for a small boat to pick up the men from Angel Island. 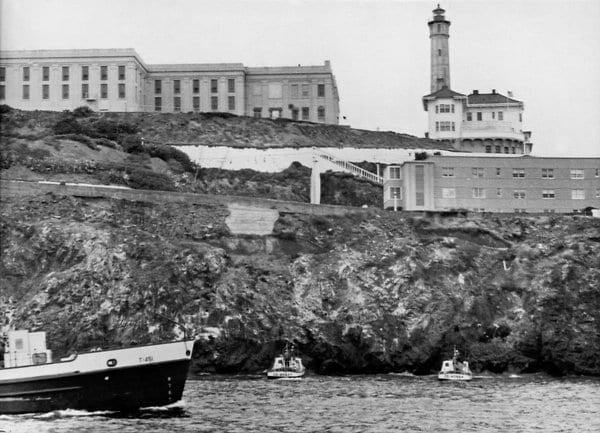 Inmate Carnes believes that the boat took the convicts to San Francisco’s Hunter’s Point district at Pier 13. Whether any of this happened at all still remains speculation. The former Alcatraz Captain of the Guards, Philip Bergen believes Carne’s story to be false and something just dreamed up by the inmate. 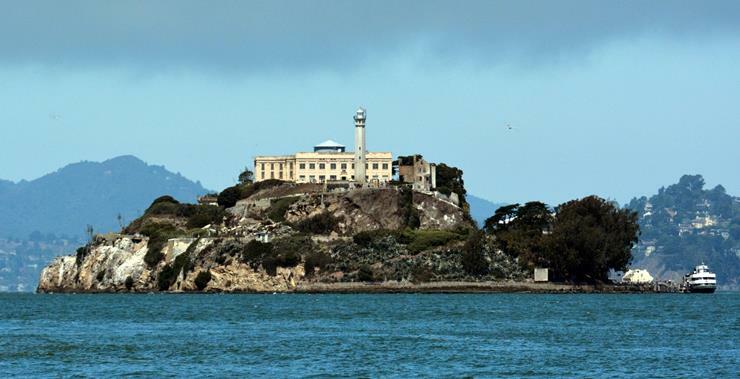 Thomas Kent, a former prisoner of Alcatraz, believes a different scenario took place. He appeared on America’s Most Wanted in 1993 and said that he helped with the escape planning, but didn’t escape with the group because he couldn’t swim. He firmly believes that it was Anglin’s girlfriend that was scheduled to meet with the convicts once they arrived at the island before driving them to a new life in Mexico. His account was met with skepticism as he was paid a total of $2,000 for the televised interview. 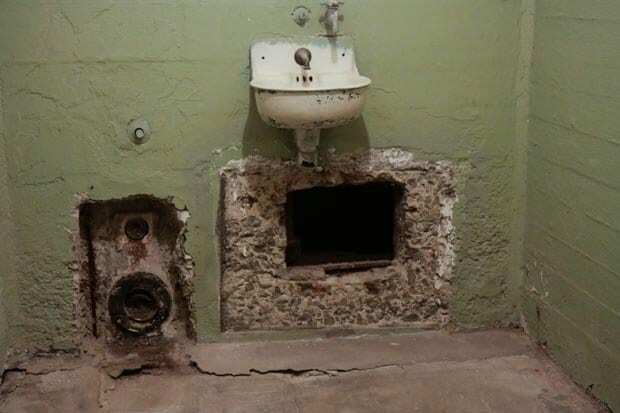 Although Alcatraz was decommissioned in 1964, the prison is still in use today and is utilized as a museum where guests can experience life inside the prison. 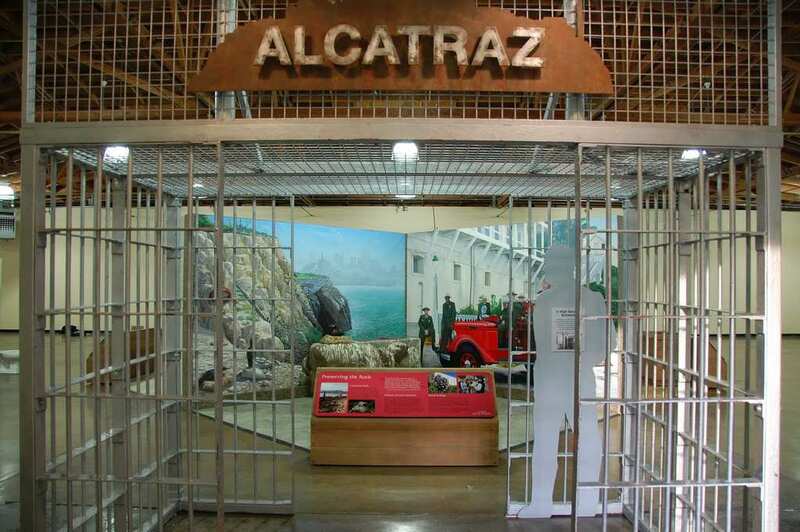 Operated by the National Park Service’s Golden Gate National Recreation Area, the corridors of the prison are named after large American streets. 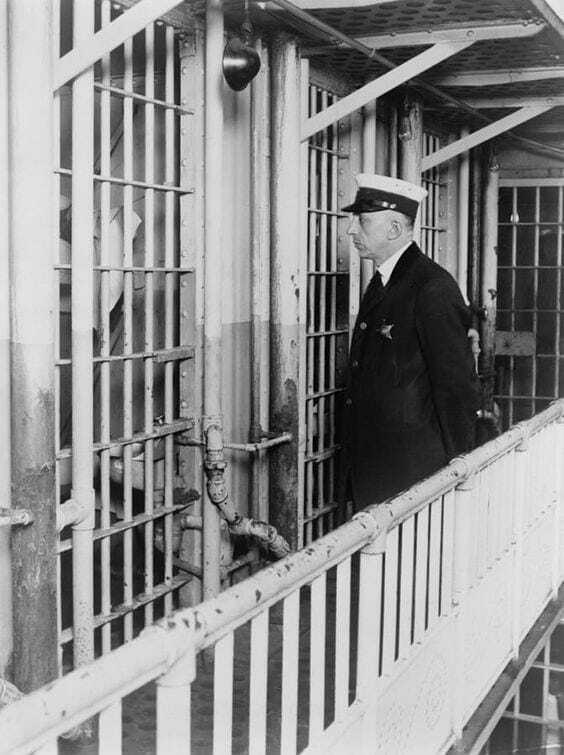 Many infamous residents have lined the cells of the prison including Chicago gangster Al Capone, Robert Franklin Stroud ‘The Birdman of Alcatraz’ and gangster Whitey Bulger, who was played by Johnny Depp in a recent biopic of his life.